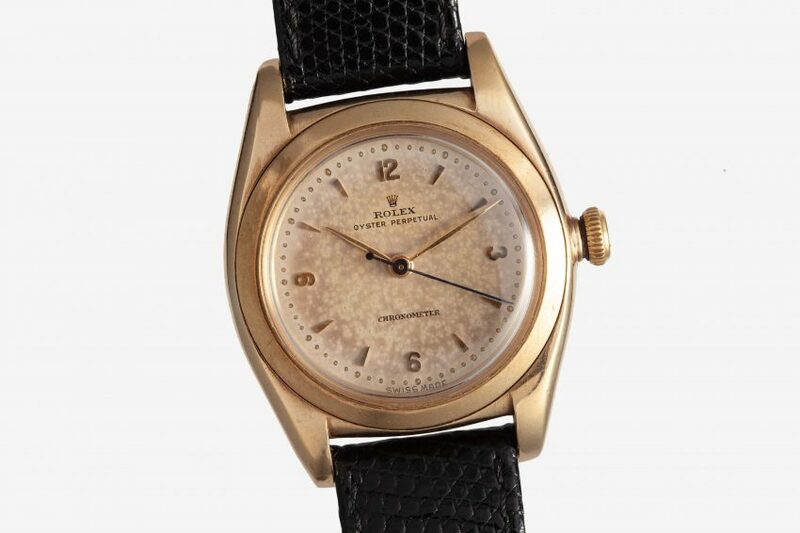 Before there was the Submariner, before there was the Day-Date, before there was the Daytona, there was the Rolex Bubbleback. This particular Bubbleback, a model so named because of the bulbous shape of the caseback, as needed to fit the automatic movement, is a stunning example. Cased in yellow gold, the watch is admittedly on the smaller side at 32mm in diameter. However, the Oyster Case, along with the case thickness, help to give the impression of a larger timepiece on the wrist. With it’s funky Arabic numerals at 12, 3, 6, and 9, the watch feels every bit a departure from the way we traditionally envision Rolex as it does right at home among their ranks.